“St. 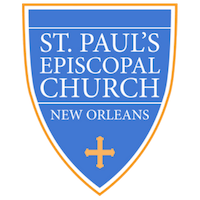 Paul’s 101” is a 4-week opportunity to grow in your spiritual life, meet other members, and learn more about St. Paul’s. "St. Paul's 101" starts February 6th and is every Wednesday in February through February 27th. The program starts at 6:30PM, but we would love for you to join us for Eucharist in the chapel 5:30PM and dinner in the parish hall at 6PM. Feel free to come for as much of this as you can! Please note that childcare is available during dinner and the program. If you have any questions, please don’t hesitate to contact Father Rob at (504) 655-7756 or . We hope you’ll join us!